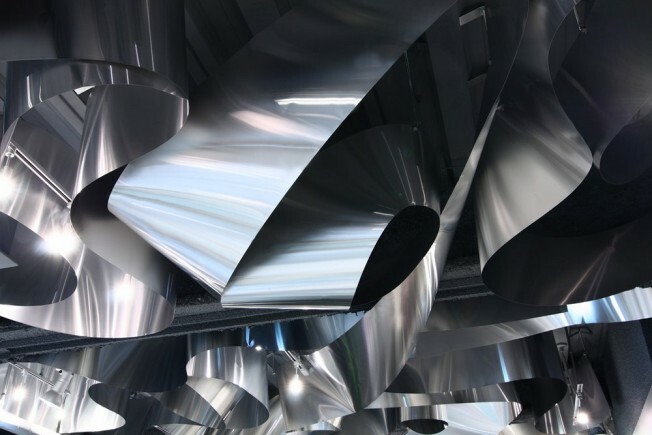 According to Greek philosophy, arkhe was the cosmos or everything, and was often interpreted as referring to the element of water which, in turn, gives life to everything. 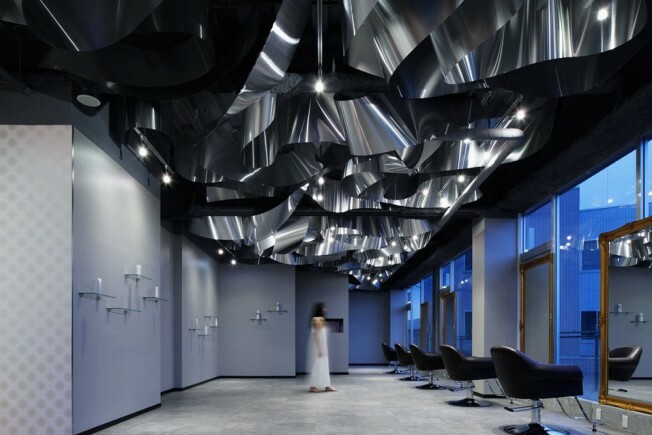 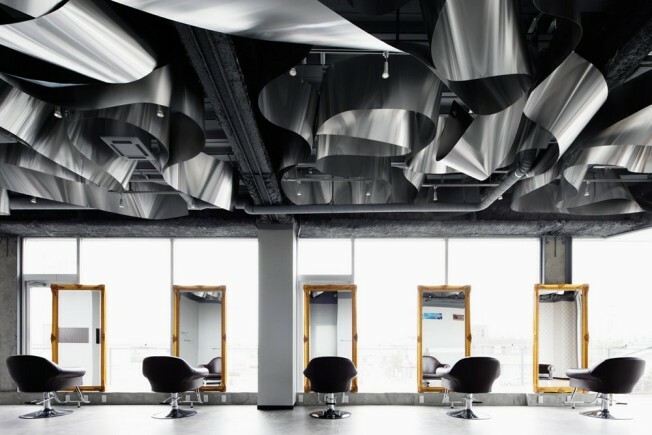 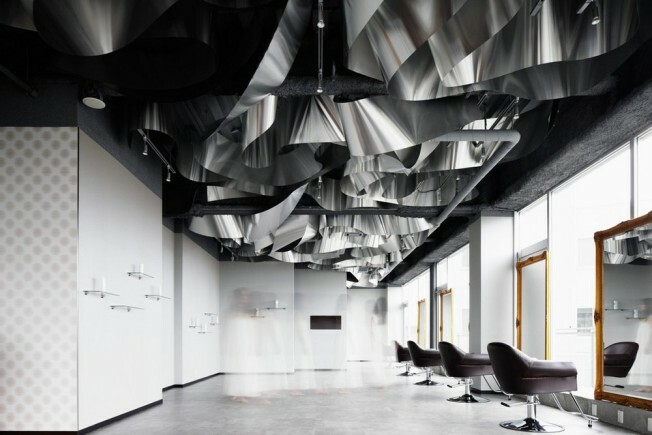 Based on that concept, architect Moriyuki Ochiai designed a Beauty Salon just east of Tokyo using recyclable aluminum sheets to express the flow of water. 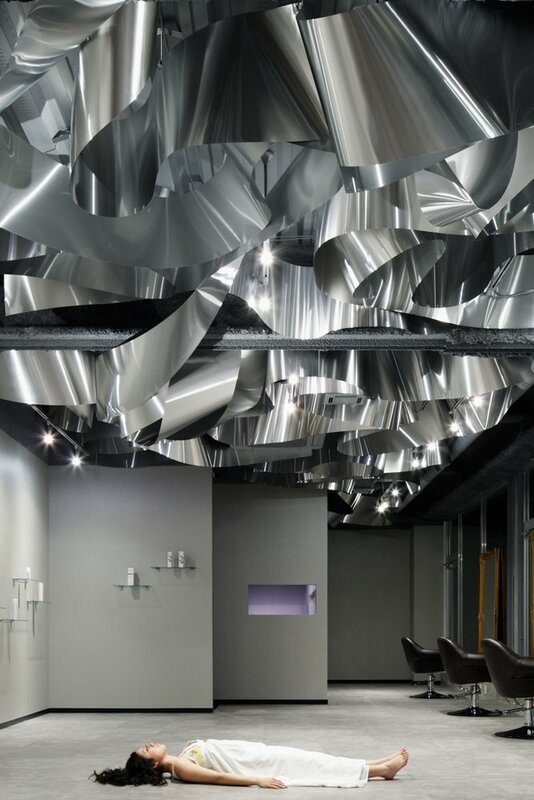 The flexible aluminum sheets can be easily detached from the ceiling and rearranged. 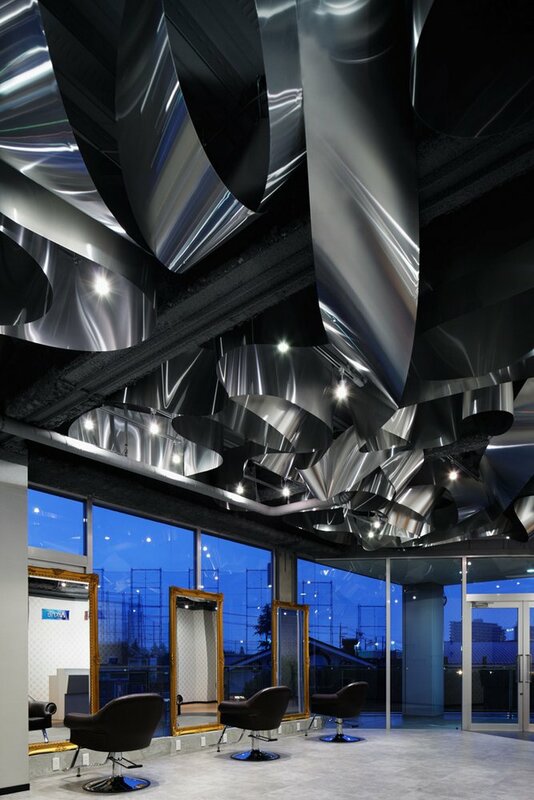 This was also a consideration for the potential of relocating – the can be easily reinstalled in a new location, effectively reducing the cost of moving.